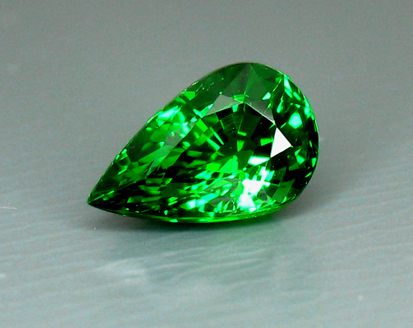 1.62ct Round Tsavorite - clean, well cut, brilliant, uncommon in larger sizes when round, and a great 'chrome' green color which one seeks in fine Tsavorite. This has been stashed away from a dealer we have known for about three decades and some fine pieces like this are making their way back into the market due to his retirement. (rma-19-01) $2,754 SOLD! Photographed some time ago and never placed on our website! 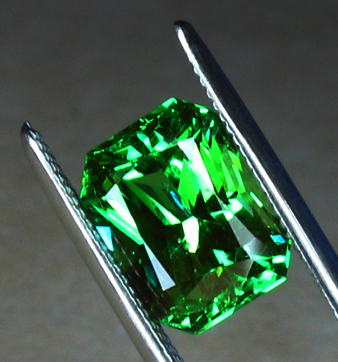 Prices continue to rise - our most costly Tsavorite in 30+ years to purchase, but also one of our finest! 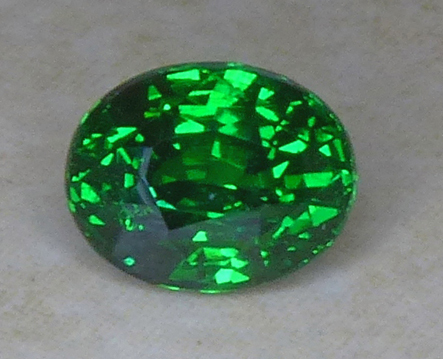 A - Photo doesn't do this 1.63ct Oval Tsavorite Garnet any justice. 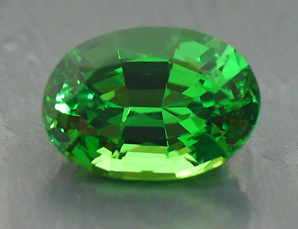 It is much brighter and lively with a nice sparkle. 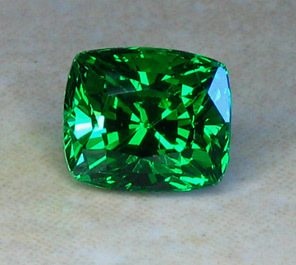 B - A super 1.63ct Brilliant Square Cushion Tsavorite Garnet of a nice deep green without being too light or too dark! 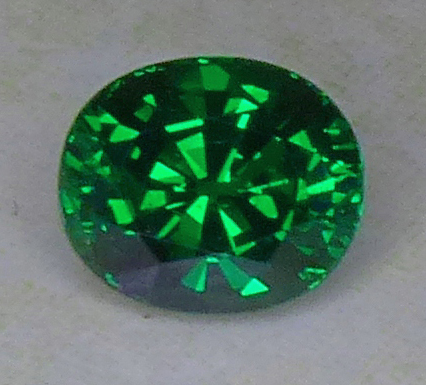 This has a great Chrome color and is based on the the 2010 The Guide wholesale value for an Extra Fine Tsavo of this size, color, cutting, etc. Approx dims: 6.5x5.7x5.2mm There was a small scratch on the table and an issue on the culet. 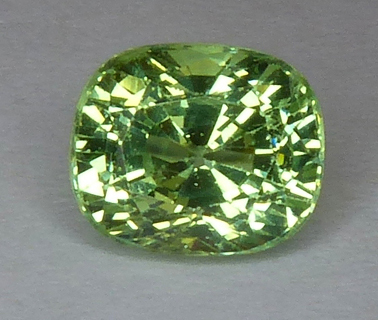 Couldn't see this with the unaided eye, but when someone wanted to know the clarity (very eye clean, really nothing under 5x) - we saw these two issues and decided to send the gemstone to our master cutter for some tweaking. Lost about 1.5 point s (0.015cts) - that's how small the issues were and of course, credit goes to our master facetor for his expertise, knowledge and skill! Actually, the colors of the two pieces above are not too different from each other. 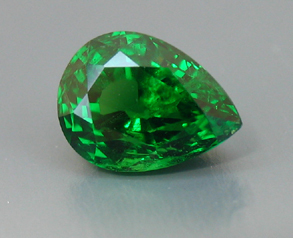 Some may describe them as Chrome Green, but certainly nice Tsavos neither too dark or too light! 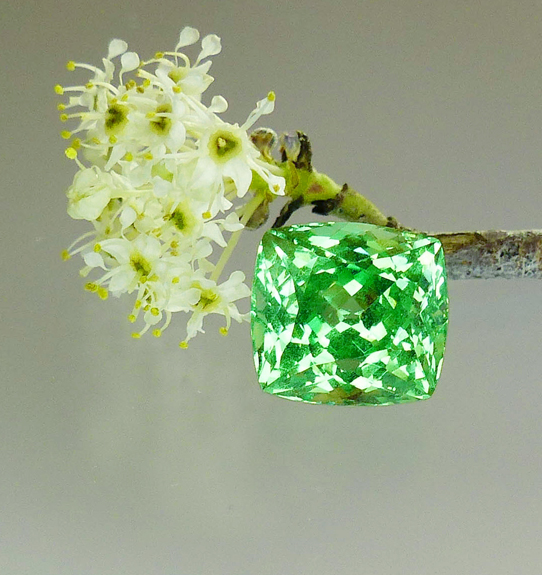 3.63ct Merelani Mint Grossular Garnet - Sculpted! This material is wonderful and quite rare. 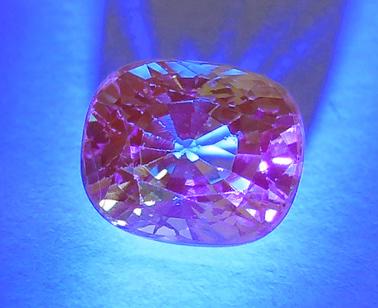 It is found in the same area that Tanzanite comes from. 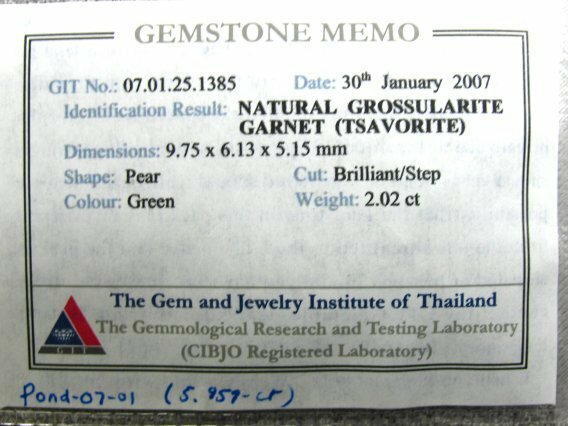 In the right light, these stones show quite a bit of dispersion; we didn't expect to see this, but some garnets , like Demantoid, some Mali garnets and Grossular, exhibit this physical property which is the same property found in Diamond! 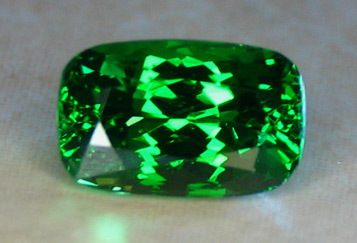 The actual color of the material was difficult to capture. 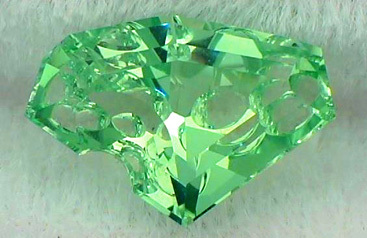 The body colors is a minty green (medium) and is cut using the Portuguese cut and dazzles the eye wilth glitter and sparkle due to the number of facets. 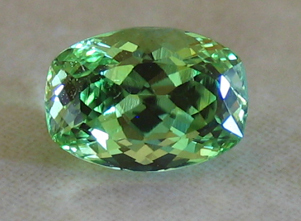 (Note that the round has small inclusions, which is typical for this material, but due to the faceting, they cannot be seen readily with the unaided eye). 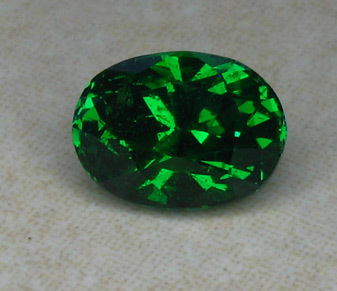 0.75ct Oval Tsavorite Garnet - East Africa (eagt-95a-01p) $725 Nice example - great color! 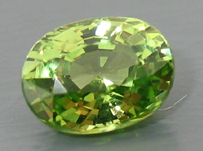 "I received the package, and I have to say the stone is far more beautiful than I imiagined. The picture didn't do it justice! Thanks so much - what a treasure!" 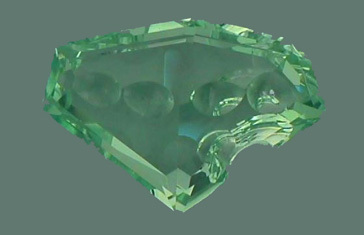 "I received the stone yesterday; it is awesome! Even better than I expected. Thank you for your great service and support with this purchase. I know you went way out of your way to make this happen and the delivery went off without a hitch. I look forward to doing more business with you in the future."